Day of talking all things wild! 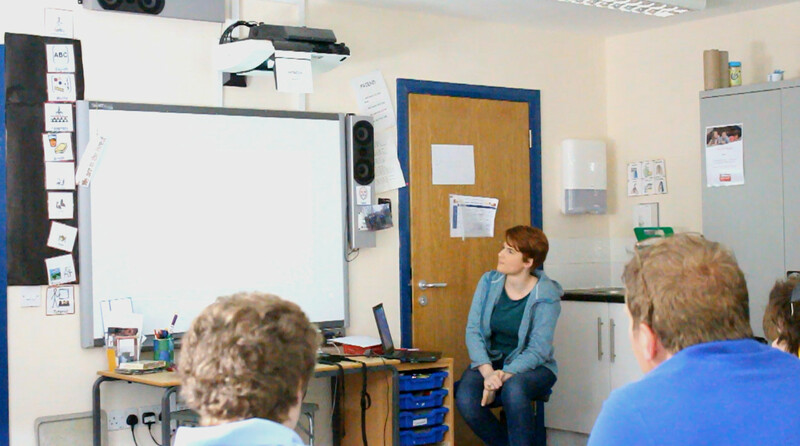 Back in November I gave my first talk at a local school which is a school for autism. After filming the wildlife in the woodland on their school premises over the summer I rounded up all of my best footage and produced a talk for the students. This was very similar to what I did today. Over the last few weeks and months I have been filming all the wildlife in the woodland on the school premises but this time I focused on species which are more active in the Spring and around the feeding station. At the school they love the wildlife they have in the woodland. They have special lessons when the students will go out and do a variety of activities whilst being surrounded by nature and observing the wildlife around them. I’ve been told many times in the past that these kids are very tense and suffer from other illnesses like depression but when they’re out in the woods they immediately start to feel more relaxed and chilled out. This is very important for those children and it’s obvious by all of the photos I’ve seen and how they reacted to my talk that they love animals. This is mainly due to the regular lesson of going outside and the enthusiasm of some of the teachers. It makes me wonder the impact this could have on mainstream schools, undoubtedly it could be extremely beneficial. In my talk, first of all I went through all of the birds that we filmed at the feeding station and some others which may also be found there. Then I went onto other day time visitors like the squirrels before going onto the visitors at night. With the trail cameras we were very lucky to film foxes and badgers in the woodland here which was really fantastic and really great to show the students. Overall it was a really lovely day and I really enjoyed myself. I look forward to perhaps doing another day of talks there in the future.